Another February Glam Bag sample was Zoya Nail Polish in Odette. 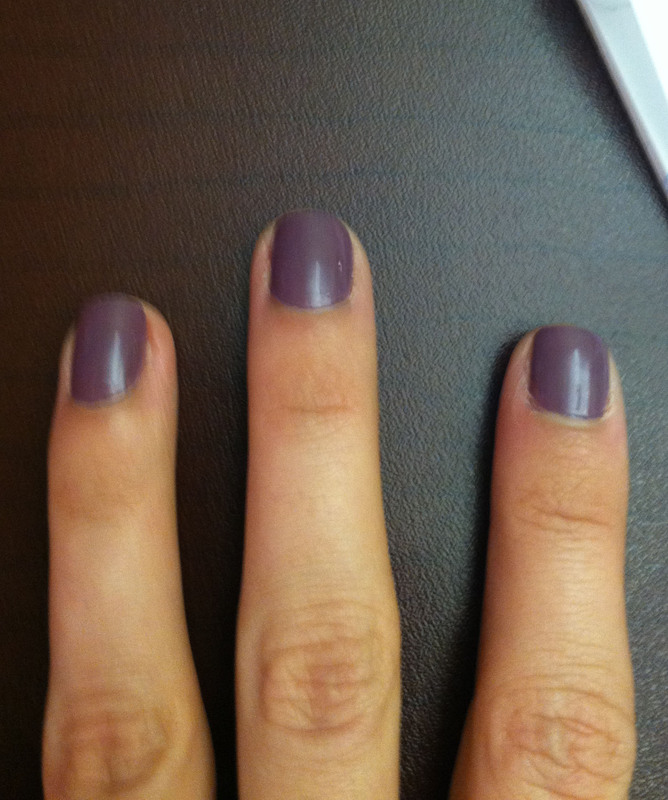 This Purplish Mauve color is very pretty and I was excited to receive nail polish as I am a nail polisher hoarder. The brush was tailored for easy use and the nail polish went on nice and easy. I polished my nails 4 days ago and they are still going strong, which is a shocker because these claws usually chip within a day! Love this color. Makes me think of Easter. I don’t know much about the Zoya brand so I decided to do some investigating. Zoya has some gorgina colors! I couldn’t stop scrolling the site. These colors were amazing! The name of the company is the name of one of the owners, Zoya, who is from Russia. I am giving Zoya polish two paws up!